Up until the 15th and 16th centuries, numerous principalities were continually at war with with each other until Moscow won the upper hand, suppressing all of its rivals and uniting the territories populated by Russians. RBTH is pleased to present “Why Russia,” a series of articles based on the most widely searched for topics relating to the country. The first article tackles the question of why Russia is so large. At 171 million square kilometers, Russia is the world's largest country in terms of area. It is 25 times larger than France and 47 times larger than Germany. 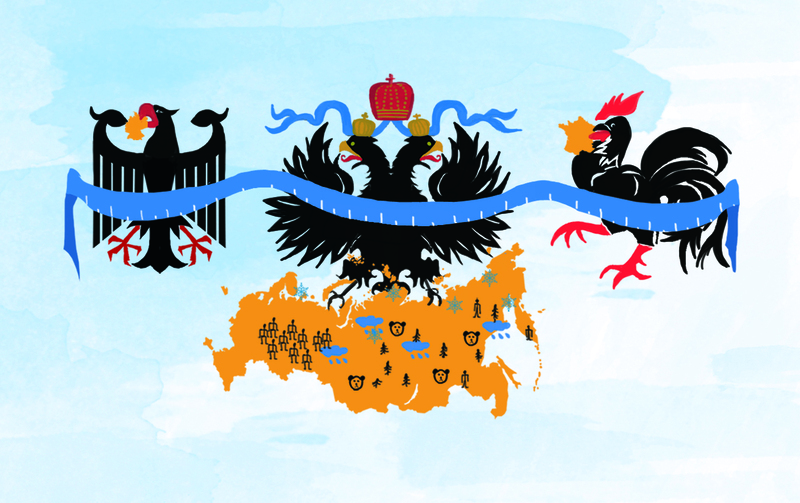 The reasons behind Russia’s enormous size can be found in its history. First of all, Russia, like many other European countries, went through a period of territorial expansion. Up until the 15th and 16th centuries, numerous principalities were continually at war with each other until Moscow won the upper hand, suppressing all of its rivals and uniting the territories populated by Russians. This is when things got interesting. Under Ivan the Terrible (1533-1584), Russian Cossacks moved to conquer lands on the other side of the Ural Mountains in Siberia and the Far East. These regions account for 77% of the Russia’s total area. In other words, it was the conquest of Siberia that turned Russia into the largest country geographically. Moscow did not encounter any major problems in the conquest and annexation of the eastern territories, and in 1645 Russians reached the Pacific Ocean. Vladimir Kolosov, president of the International Geographical Union, points to two main reasons that the expansion to Siberia and the Far East did not meet any significant resistance. First, these vast and cold territories were sparsely populated. “Even now,” Kolosov told RBTH, “the population density there stands at 2 people per square kilometer, and in the 17th century that figure was even lower.” Second, the tribes populating Siberia for the most part had no objections to joining Russia. “The Russians did not seek to suppress the local tribes,” explains Kolosov. “They were mainly interested in fur, a valuable commodity in their trade with Europeans.” The local tribes were free to continue their traditional way of life, while Russia guaranteed their security in exchange for periodic tributes paid in furs called yasak. Kolosov says this situation was amenable to all parties, which is why the conquest of Siberia was, for the most part, a peaceful process. Meanwhile, Russia’s expansion was progressing at a much slower pace in the west and the south, where it had to vie with Poland, Turkey and other influential powers over new territory. Nevertheless, the Russian Empire continued to expand, eventually covering a massive area of 21.8 million square kilometers, even more than modern-day Russia. The Soviet Union, which replaced the Russian Empire, was even larger, covering 22.4 million square kilometers. Russia’s current borders were formed after the collapse of the Soviet Union, which occurred when that huge country, having failed to build a sufficiently cohesive communist empire, disintegrated into 15 independent states. Despite Russia's immense geographical size, its population of 146 million people ranks only eighth in the world. This is just 10 million more than Japan, which has an area that is 45 times smaller. Kolosov stresses that large parts of Siberia and the Far East, especially in the north, remain largely uninhabited and are characterized by a harsh climate that is challenging for humans to live in.